Air pollution in Salt Lake City is a very serious issue that affects the health of all of its inhabitants, especially those at a higher risk for breathing issues such as children, the elderly, or anybody suffering from asthma. Salt Lake has some of the worst air quality in the nation, and we are not making enough of an effort to combat this issue. We have regulations on fires and things we can burn which helps a little, but industries around the salt lake city area should also make significant change to fix this problem. Low air quality can irritate your eyes, nose, and throat, cause shortness of breath, fatigue, aggravate asthma and other respiratory conditions, and possibly even affect your heart. Breathing air filled with pollution for long periods of time can cause more serious health problems. Along with carpooling and making changes to reduce our own carbon footprint we as people need to take action and speak to our representatives in order to fight for better air quality because everybody deserves clean and healthy air. Air Pollution in Salt Lake City by NIki is licensed under a Creative Commons Attribution-ShareAlike 4.0 International License. Cost of CollegeDo you want minimum wage to be raised? Niki, this topic is very saddening and concerning to me. We cannot let the air quality continue to worsen if we expect future generations to have the same quality of life as us. It is hard though because the geography of Salt Lake City makes the inversion almost inevitable if there is any pollution. I like how you gave side effects of breathing bad air for long periods of time because there will be health effects for humans as well as environmental ones. I think you will find this article pleasing, https://www.epa.gov/arc-x/salt-lake-city-utah-adapts-improve-air-quality-through-smart-growth, because it talks about efforts being made to improve the air quality in our city. Thank you for addressing such a grave issue! 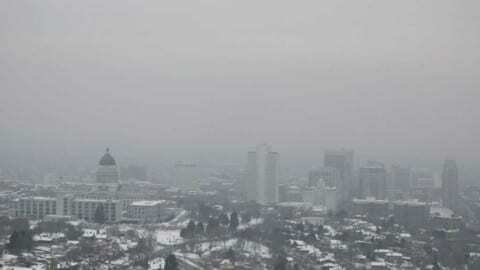 I agree that Salt Lake City’s air quality needs to be fixed. It is affecting so many people and causing a lot of problems in our valley. Salt lake is a very popular spot for people to live, but I think if the air continues to be like this our population will decrease. It is also hard because this year we haven’t had a ton of big storms to blow the bad air out. I think your idea about the carbon footprint is really interesting and I think others should be educated on this. Thank you for sharing your story!